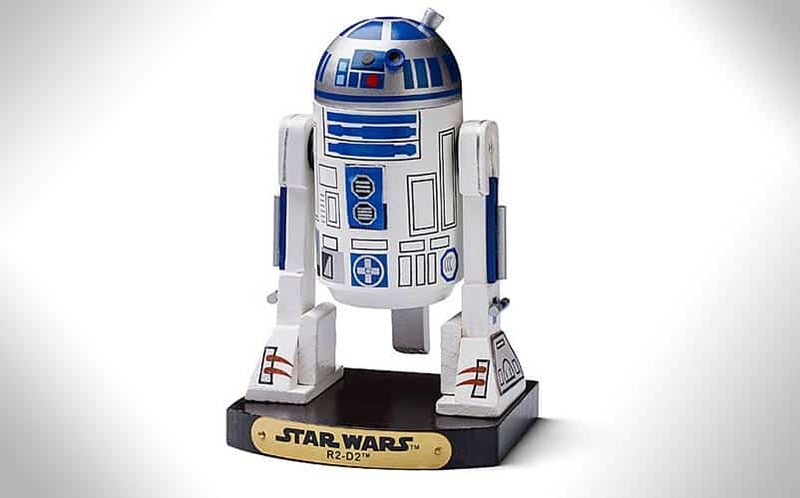 Star Wars R2-D2 Nutcracker | Nerd Much? Given the fact that those original Nutcrackers are so damn creepy, we’re always looking for alternatives to break out during the holiday season. 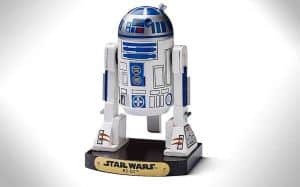 Last year, we saw a brand new Iron Man nutcracker that we just had to have, and this year, ThinkGeek has us covered with one of the products they’re featuring this holiday season, the Star Wars R2-D2 Nutcracker. And yes, it’s exactly what it sounds like, so we won’t go into much detail as far as explaining what it is. It stands at 7″ tall though, and it’s, of course, officially licensed Star Wars merch. The R2-D2 Nutcracker is made entirely of wood, and it’s designed to look just like everyone’s favorite little droid (sorry, BB-8, you’ll always be second best). Buy the R2-D2 Nutcracker here. For more cool nerdy Christmas stuff, stay tuned to Nerd Much?. You can also spread the holiday cheer by hitting us up on Twitter. If you’re feeling in the holiday spirit, you can also check out all of the upcoming Christmas movies on TV this year.